For years, Vasco da Gama software has delighted users with its wealth of details and especially colorful presentation. 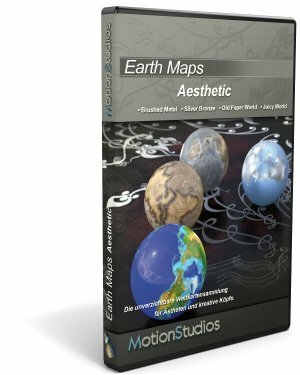 If you want to experience the special, colorful beauty of the Earth, you will be impressed by the range of features offered with the "Aesthetic" Earth Maps. For years, Vasco da Gama software has delighted users with its wealth of details and especially colorful presentation. If you want to experience the special, colorful beauty of the Earth, you will be impressed by the range of features offered with the "Aesthetic" Earth Maps. 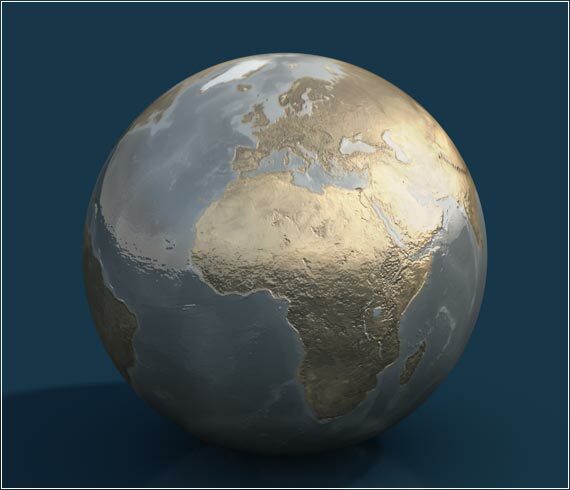 This collection of maps shows the world as it has not yet been seen - including as a shiny metallic sphere, as a particularly magnificent color landscape or as an historic-style globe. 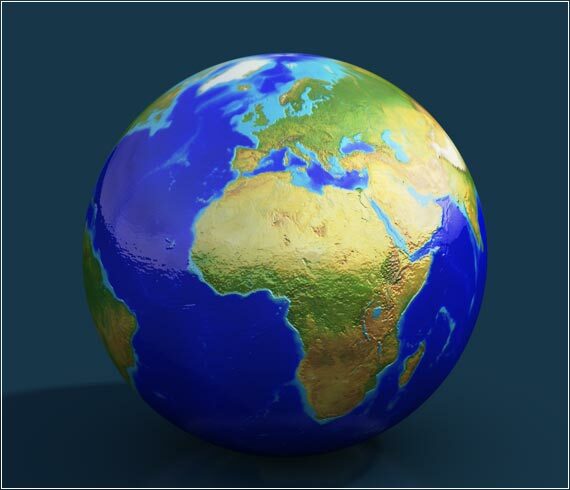 Thus the aesthetic map collection is the your ideal base Vasco da Gama software package for itineraries animations full of fantasy Due to its unique visual effects, your travel videos will have an exceptional flair in no way inferior to the quality of historical or scientific documentaries produced for radio and television. Give your travel route animation the elegant appearance of news magazines by using this particular map. 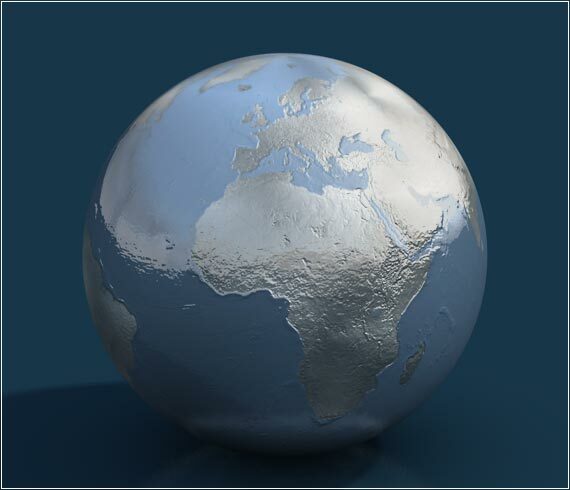 The color effects of this expressive map mean you will be able to see the world as if it had been cast from liquid metal. 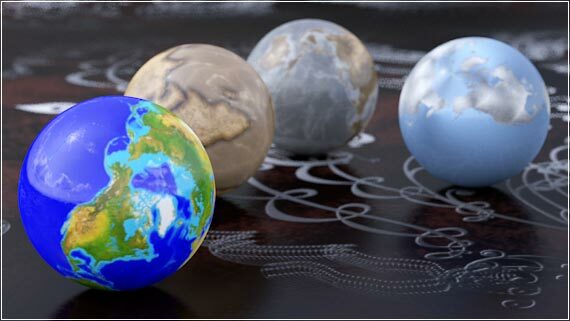 The structures of the planet as shown with this basic map are amazingly realistic. Mountain ranges and the depths of the seas are all presented - all as if under a thin metal layer. 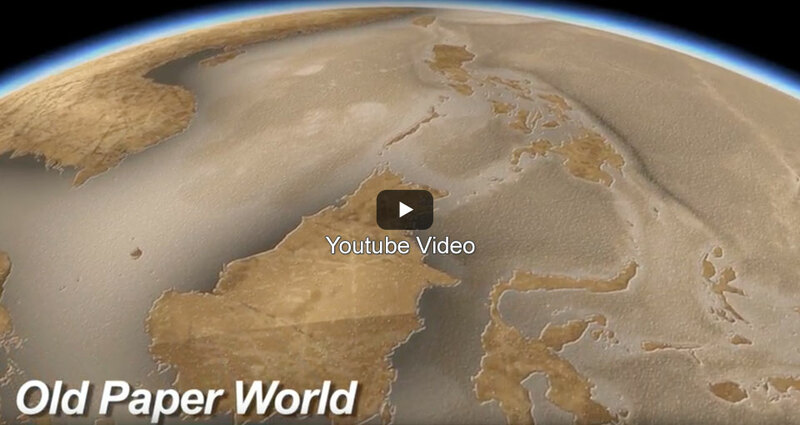 This map of the world could have had its origins in an adventure game or an historic document. One almost expects historical battles or the journey of Christopher Columbus to be displayed. 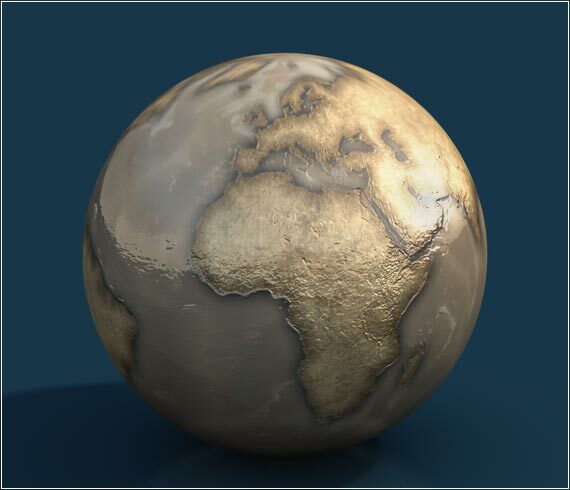 The visual effects mean that the globe looks as if it has been covered with an old map dating back to the Middle Ages. Experience a world with a fresh, almost fruity finish. As the name suggests, the colors of this spectacular map have been chosen to accompany a voyage to the in warmer areas of the world. If you have already taken a cruise to the South Pacific, you might consider looking closer at "Juicy World".